Choosing the right hair extensions can be difficult as there is a wide range available in the current market and choosing the right ones is the most vital part of the process. In fact, it won’t be wrong to state that eighty percent of the success lies in choosing the right match. We can provide you with some simple and practical advice to guide you through the process. First and foremost, you need to figure out which style is suitable for you and what changes will enhance your look. There are many brands available which has both natural and synthetic hair available, where the quality of hair varies a lot so hopefully we can help you decide how best to choose the right hair extensions for you. • Clip in Hair extensions is long strands of hair that can be attached to the original hair in layers. It is advisable that you get it affixed by a stylist so that it gives a natural and flawless look. The clips are simply attached to the top line of the hair extensions to be attached in layers of your hair, although it is not a permanent procedure, it's perfect for switching colours and styles within a clip of an extension. This extension method is widely used by people because it renders the opportunity to be creative. • The next most popular method is the bonding procedure. It is long lasting compared to the clip-in method but at the same time, it causes less damage to the original hair. You just need to take care while taking it out, preferably take help from a professional hairdresser. Bonding can be both hard and soft. The hard bonding contains a stronger glue and mostly lasts for four to six weeks whereas the soft bonding is more easy and comfortable to use but won’t last as long. • Fusion is another method of fitting hair extension which is much more long-lasting than the above two but its application takes a lot longer than the previous two methods. 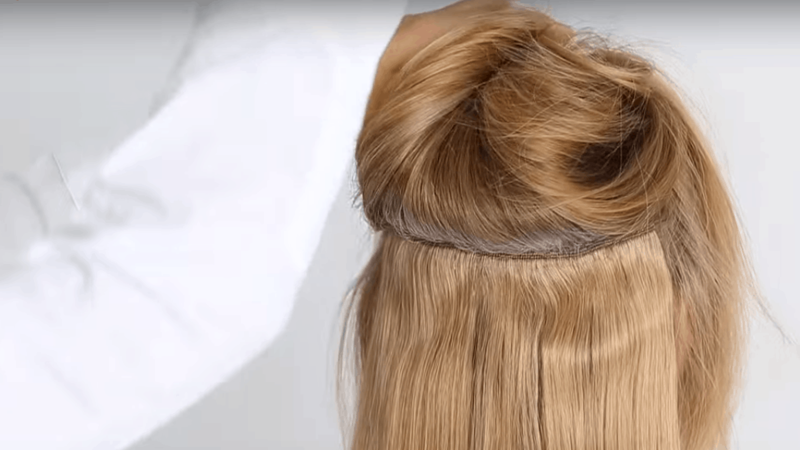 It is achieved with the help of a hot glue Gun, which is why this method of extensions, stay in for a longer duration. One advantage of the fusion method is like your natural hair it can also be washed and maintained without causing your extensions any damage or ruining the application of hair. One disadvantage is because it has strong chemicals within the glue it can cause some damage to the hair and scalp, which is why it is recommended to use some high-quality hair products like protecting sprays and hair masks which will help add some nourishment to your hair and prevent any damage. • There are also some methods which have some close relation to braiding. The methods are called Tracking, Lace Fronts and letting, all these methods essentially need the help of a professional as all these methods the needs a hairdresser to sew in the extensions with the natural hair that has been braided, which requires experience and technique. You will also need to take some extra care to maintain them to keep them looking neat and tidy. 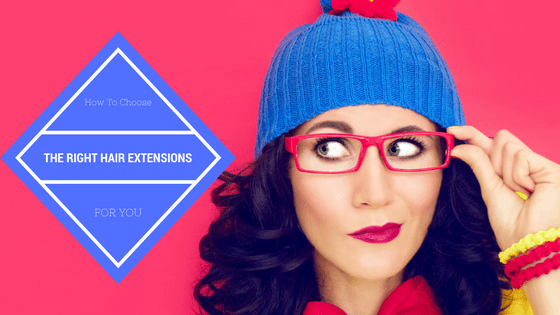 There are many hair extension brands available in the market which are of varied prices depending on the quality and type. Let’s discuss a few of them which are very popular among the service users. The Babe hair extensions are one of the most favourite brands especially among the group of stylists as it comes with no silicone coating. Easihair Pro is a hair extension brand liked for its wide range of colours available and is known to have the right match for every hair type. Cinderella Hair, Donna Bella, Great Lengths, Hotheads, Klix and Hair Dreams are brands that are very popular and have a wide variety in terms of quality and colour. Find the Method That Works Best for You: How to find the best suitable method can be a bit challenging as it all depends on your individual hair type. • The methods which involve sewing in strands of hair are more suitable for people with curly and coarse hair. • If you want something that can be achieved on your own and quickly, with the least effort, the clip-on method is the best suitable for you. • The method involving the hot glue gun is good for people who are planning to have them for a long term as it lasts a lot longer than the other methods. There are some myths about hair extensions but the following points will help you to understand the truths of these myths. 2. They are not made from fallen or from hairs found on Salon floors. 3. Hair extensions can be effectively fixed in short hair. 4. The extensions get blended into your natural hair and give you a completely natural look. 5. The clip-on hair extensions do not require to be washed as often as natural hair. As you see there are multiple hair extension methods and brands available to choose from but at the end, it depends primarily on your budget and requirement. Last but not the least do not forget to feel confident and loved by your new set of bounce and glory.